On nrc.nl NRC loads up advertisements asynchronously: the advertisement only loads when it is visible to the visitor. NRC has also introduced two new calculation models, namely the viewable CPM (IAB: 50% and at least one second on screen) and a Run of Excellence of advertisement positions that are on screen for at least five seconds. nrc.nl has a high selective reach in the AB1 demographic group: 111. NRC doesn’t offer free trial subscriptions. Consequently we only have paid-up, and therefore much more engaged, readers. Advertisements are only loaded and they only count if they are actually displayed on screen. 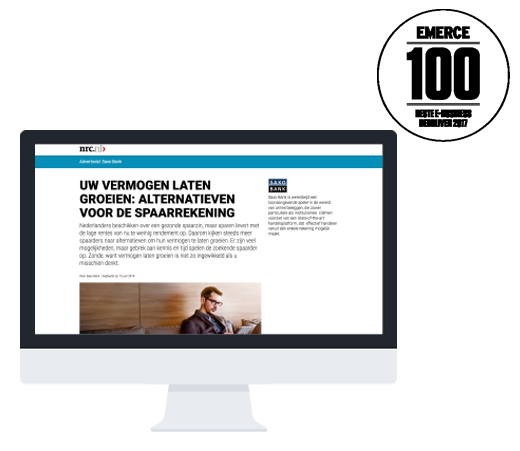 The average time-on-page of an advertorial page on nrc.nl and our branded content articles is almost three minutes. The average time-in-view of an advertisement on nrc.nl is 29 seconds.